Cozy and clean natural colors continue to dominate interiors this fall, while neon's dominate the runways. While I love the neon trend, I think its better left off of my sofa, and on some fashion accessories. This being said, I still love the idea of bringing a little color into a more muted palette. Emerald green is a jewel tone that always seems to feel luxurious and welcoming, enveloping really. LOVE those curtains!!! Such a stunning shade of green! I am totally into emerald green right now. Love the use of emerald in these spaces, but also love the chairs! Gorgeous!! This room seems it decorated by best interior decorator. Great job !!! These images are really great! I just found your blog and I am totally smitten, going to follow you for sure! Thanks! 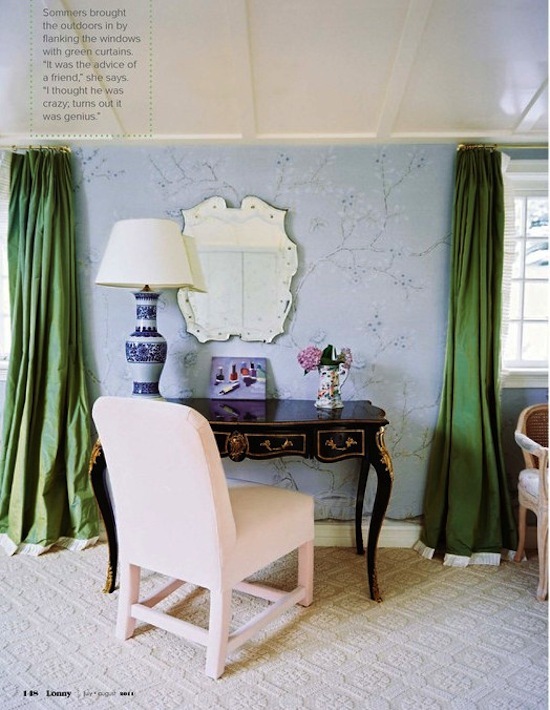 I'm obsessed with an must have emerald curtains somewhere in my house- thinking of putting them in my son's room...love! !